Divided we stand, united we fall? Those who follow me on Twitter may be puzzled by the occasional tweet about Belgian football. It’s a result of having lived in a Brussels suburb and my local pub was a lively spot during league matches. The Belgian Pro League was simply referred to as the Jupiler League. The AB InBev mass produced, cheaply sold and even cheaper tasting lager has become synonymous with football. 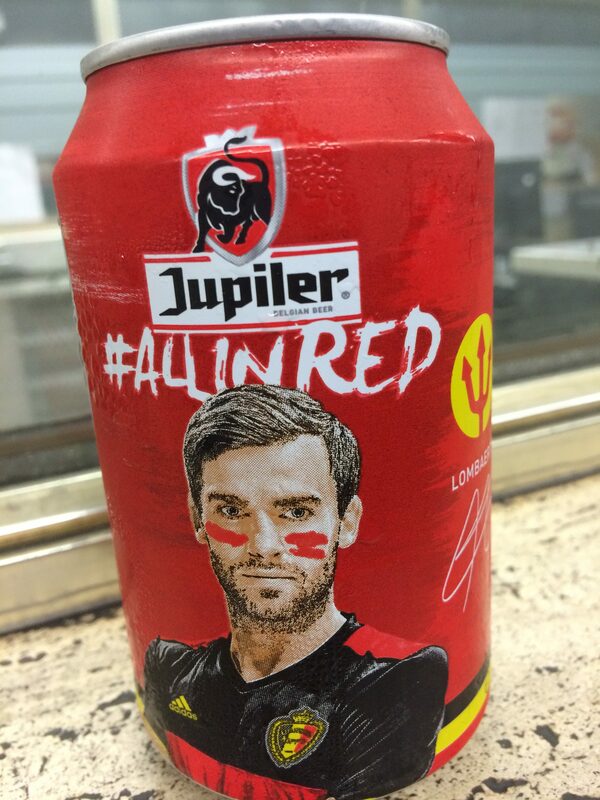 Jupiler has also become the title sponsor of the Dutch second division (no doubt to annoy Heineken). This is a country where it used to be joked that the only Belgian was the King. But recently more and more Belgian flags can be seen. The current public displays of affection for the tricolour stem from a period spanning 2010 & 2011. For a world record 589 days, Belgium was without government. Once the initial hilarity had worn off, frustration and fear for the country’s future set in. A great many people took to hanging Belgian flags from their balconies or outside their homes. Many of the flags, however, were Jupiler-branded. This is thanks to the beer’s lock on sports sponsorship. It can be hard to source an unadulterated flag. This has only been compounded by two Olympics and two major international football championships. The beer’s association with Belgian national football team has definitely capitalised on the recent patriotic trend. This has been in a similar vein to Budweiser renaming itself ‘America’ in the US over the summer. Its recent promotion tying-in with the 2016 European Championships hits a little too close to home. The #ALLINRED campaign was stamped prominently on all its material. Unfortunately, the font left it reading a tad too close to FALLINRED. That’s precisely what the over-hyped and definitely under-performing de Rode Duivels, les Diables Rouges or die Roten Teufel (take your pick) did. The team flopped in the tournament that many tipped them to win.